Nurbits is a music puzzle game. 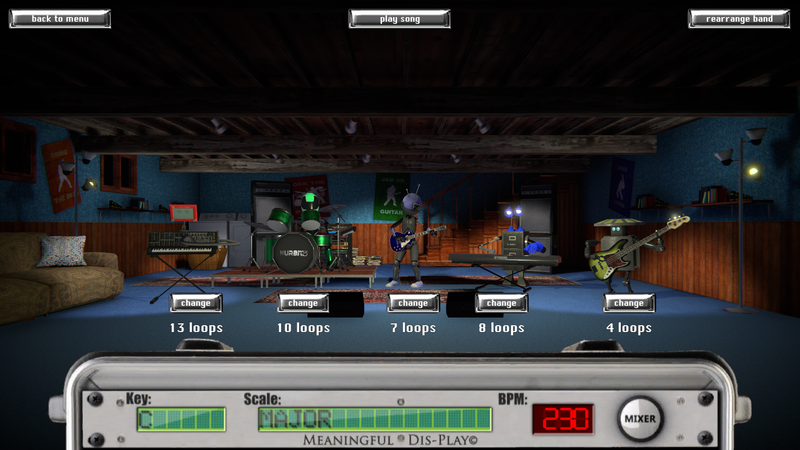 You take on the role of a sound engineer responsible for producing music with a robot band. You must fix the wiring in each robot's brain before it can play the song. To do so, you hook up microchips that send and receive signals the same way that neurons do. 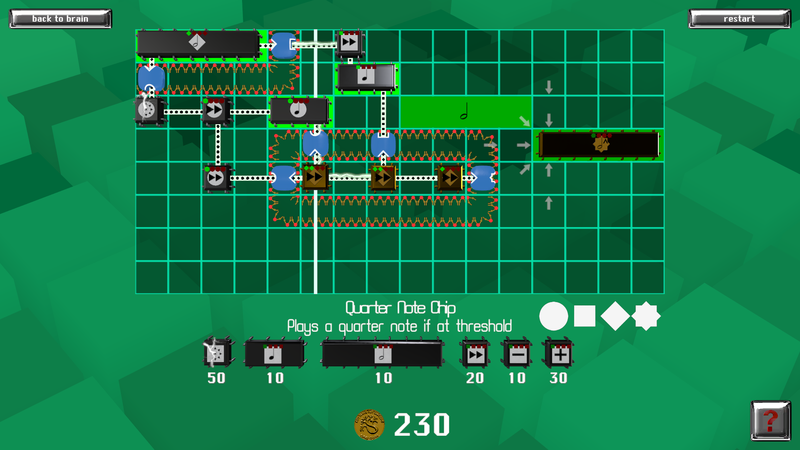 Each chip has a threshold. 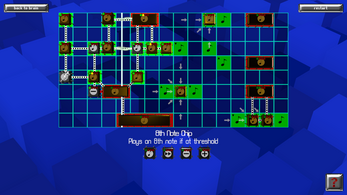 If it receives enough stimulation from other chips to reach threshold it will fire and play a note. To solve the puzzle you must hook up the right notes and inhibit the wrong notes. 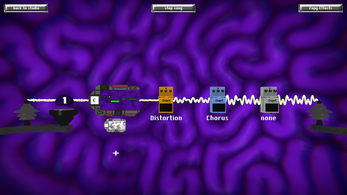 Each puzzle is a phrase in the song the player is assembling. Complete all the puzzles so the band can play the song! Nurbits also features a creative mode. 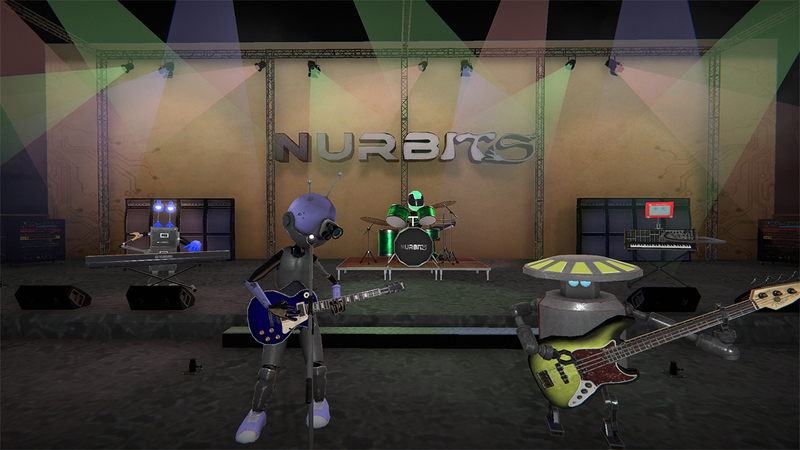 You can customize your robot band, and create and share your own songs and puzzles. Over 50 puzzles composing four original songs. 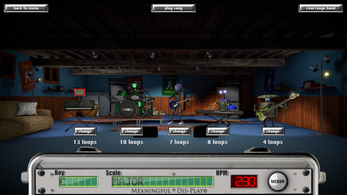 Each song features a distinct musical style: chiptune, rock, hip-hop, and electronic dance music. Rise to the top of the robot music industry as you progress through four venues: the basement, small club, arena, and space station. 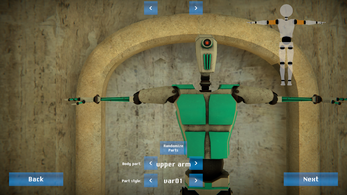 Puzzle mechanics based on real neuroscience concepts. Compose your own music in an easy and intuitive way. 21 different instrument sounds: guitar, bass, drums, synths, and more. Add effects and tweak all the parameters of your song. Robot editor - Make your own custom robots to form your own unique robot bands. 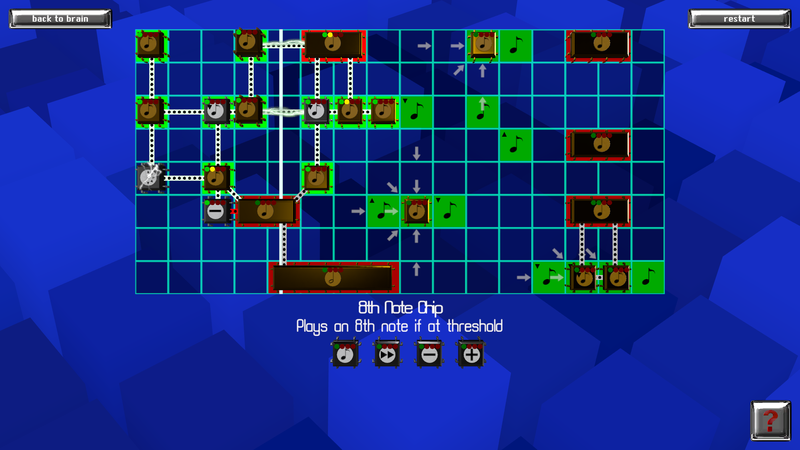 Turn your music into puzzles using the same tools as the game designers. Online song sharing - Upload your creations. Download other player's creations to play and remix them.